C.S. Lewis and J.R.R. Tolkien are both very well-known English writers that have been influencing generations with their works. The two young professors, once members of a literary group in Oxford, have introduced to the public the fantastic worlds of Narnia and Middle-earth. In fact, they had a renowned friendship that’s allegedly the source of Lewis’s conversion to Christianity. 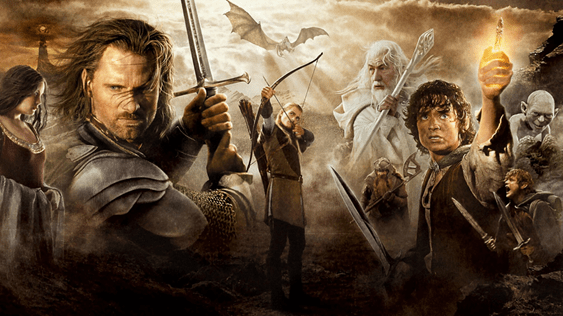 The work of Tolkein and Lewis is now both classic and mainstream; having been brought to life many times over in animated and feature film versions. Why are these relatively old stories so popular? Why do they continue to be the impetus for efforts in the entertainment industry? Is there a powerful, perhaps even sinister force at work? How can that be when both men were such “devout Christians”? Perhaps the answer lies in exactly what kind of “Christians” they were. John Ronald Reuel Tolkien (aka J.R.R. Tolkien) was an English writer born in South Africa in 1892. He’s most known by his classic fantasy works such as The Hobbit and The Lord of the Rings trilogy. Although his family was composed mostly of Protestants, Tolkien’s mother Mabel converted to Catholicism following a trip to Birmingham, England, after the death of Tolkien’s father. This decision caused Mabel’s Protestant and Baptist family to withdraw her financial support. Such struggles contributed to her death four years later, but not before she had enrolled John and his brother Hilary Arthur Reuel Tolkien into St. Philip’s Grammar School, associated with the Birmingham Oratory. There, they were acquitted to Father Francis Xavier Morgan, a Roman Catholic priest, who eventually took custody of Ronald and Hilary. Morgan was named after Francis Xavier, one of the founders of the Jesuits along with Ignatius Loyola and Peter Faber. The brothers considered the Oratory as their home, serving as Morgan’s altar boys every morning. These events set Tolkien to be a devout Roman Catholic. His mother’s martyr-like perseverance in remaining true to her new faith, despite dire poverty, made a deep impression on Tolkien. As historian Owen Dudley Edwards eloquently observed: “This meant that Tolkien’s Catholicism was fused with his identity at the most basic points of self-awareness. Clichés about the influence of devout mothers do not begin to describe the force of an inheritance like this.” He and his brother were left in the care of a Roman Catholic priest at the Birmingham Oratory. Tolkien persuaded his wife to convert before their marriage. He attended Mass regularly, often daily, all of his life, although he was displeased with the changes to the Mass following Vatican II. ~ The Ring and the Cross: Christianity and the Lord of the Rings by Paul E. Kerry, p.241, 2011. The main theme of The Lord of the Rings (LOTR) is the quest to destroy Sauron and his evil ring by a fellowship composed of hobbits, humans, dwarfs and elves. The Hobbit acts as a prequel and, analogously to the LOTR, it’s also centered in the Middle-earth. Tolkien’s religious views permeated many of his works, as he discusses the Catholic nature of the LOTR in a letter addressed to his friend, Jesuit priest Robert Murray. “I know exactly what you mean by the order of grace; and of course by your references to Our Lady, upon which all my own small perception of beauty both in majesty and simplicity is founded. The Lord of the Rings is of course a fundamentally religious and Catholic work; unconsciously so at first, but consciously in the revision. I have not put in, or have cut out, practically all references to anything like ‘religion’, to cults and practices in the imaginary world. 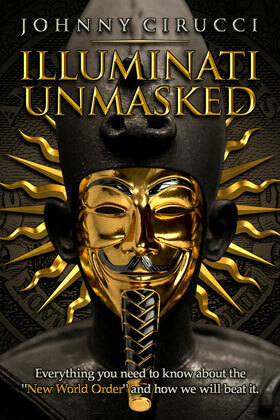 For the religious element is absorbed into the story and symbolism.” ~ The Letters of J.R.R. Tolkien by J.R.R. Tolkien, p.172, 2000. Such imagery and metaphor is also seen in the stories of C.S. Lewis. Tolkien incorporated several occult elements to compose his mythical Middle-earth tales. Even freemasonic symbolism can be found throughout the stories as is the case with The Doors of Durin portrayed in The Fellowship of the Ring. However, it is the doctrines of Roman Catholicism that thoroughly permeate this well-known (and well-promoted) fantasy series. Such religious influences are exemplified in the similarities between the Catholic Mary, “Our Lady”, and character Galadriel, also known as “Lady of the Galadhrim” or “Lady of Light”. The “conversion” of Gimli a is used to show how “heretics” can be drawn to reconcile with Rome by the power of the ever-virgin “Queen of Heaven. Gimli is a dwarf that initially viewed the Elves with prejudice. But upon marveling over Galadriel’s light and grace, he is won over by her. In the same instance, Galadriel bestowed cloaks of invisibility to hero Hobbits Frodo and Sam as a gift in order to protect them against the sight of unfriendly eyes. Similarly, there is a Catholic belief that professes one may be “preserved from eternal fire” by using the brown scapular of the Virgin Mary. There are also some researchers who claim Tolkien believed in distributism (redistribution of wealth and property by force), which is a an economic ideology based on the Catholic social teaching. The Society of Jesus is the most vocal Catholic order when it comes to “social justice”. “…for Tolkien this would have had a political resonance as well, influenced by Catholic social teaching from the early part of the century which was seeking a third way between the extremes of capitalism individualism and socialist denial of the individual. They sought something called Distributism, where money and goods were to be distributed as widely as possible in society. And you can see that really underpinning the novel, in a children’s book version.” ~ The Hobbit, an unexpected theological journey by Dr. Alison Milbank. 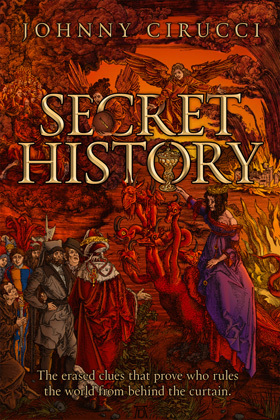 Robert Lazu, a Romanian Roman Catholic philosopher and theologian, asserted in his paper The Fantastic Secret of Tolkien’s Fairy Tales: Literature and Jesuit Spiritual Exercises that Tolkien might have used Jesuit spiritual exercises while composing his fairy stories. In my opinion, Tolkien presented the world with singular writings, literary creations that contain truths that cannot and should not be presented as “scientific truths” to the present-day reader. Once again, we encounter a good use of creative imagination perfectly harmonizing with a sound mind. Tolkien was not just a “secular” counterpart to St. Ignatius. On the contrary, he reminds us of the lesson that Aquinas, the “Angelic Doctor,” left to posterity—the harmony between faith and reason. Tolkien urges us to learn, alongside his characters, how to distinguish between Good and Evil and how to fight unrelentingly to protect what is morally right. ~ Light Beyond All Shadow: Religious Experience in Tolkien’s Work by Paul E. Kerry and Sandra Miesel, p.124, 2011, [emphasis mine]. The Jesuit spiritual exercises integrate the core of what is called Ignatian spirituality named after its founder Ignatius of Loyola. The Exercises deeply rely on the use of imagination during religious meditation and they are allegedly designed to free one of his own desires and even individual identity in order to solely obey what the adherent understands as “God’s will”. Martin Scorsese’s new movie Silence will tell the story of violence and persecution two young Jesuits suffered in Japan in the seventeenth century. It’s most probable that the motive of persecution, which is the Jesuit involvement and subversion of that nation’s political affairs, will not be discussed. Neither their resultant expulsion from every country in which they held a mission, for similar reasons. By the end of it Garfield admitted, “I got totally swept up in all things Jesuit and very taken with Jesuit spirituality.” He was so immersed in Jesuit spirituality that Garfield would stop and make suggestions on the set of the film, saying, “A Jesuit wouldn’t say that.” ~Philip Kosloski, Aleteia, December 8, 2016. It is interesting to note that Garfield is Jewish. As Scorsese will not be dealing with the reasons behind the Jesuit expulsion from Japan, it seems to be a forgone conclusion that Andrew Garfield is completely ignorant of Jewish persecution at the hands of the “Society of Jesus”. Tolkien could have acquired his Jesuit writing style during his stay at Stonyhurst College, a Jesuit boarding school. He spent time in one of the guesthouses and one of the classrooms in order to compile the LOTR trilogy. 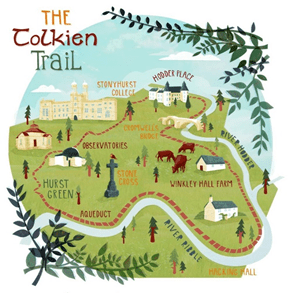 “Tolkien was renowned for his love of nature and wooded landscapes and the countryside around Stonyhurst College and St Mary’s Hall is richly beautiful. The area is dotted with names that are familiar from The Lord of the Rings – Shire Lane in Hurst Green, for instance, or the River Shirebourn. Perhaps named after the Shireburn Family who had built Stonyhurst and owned the estate in the 16th and 17th centuries. The green countryside is dominated by the dark shape of Pendle Hill, famous for its association with witches, sorcery and black magic in the 16th century – surely inspiration for Middle Earth’s Misty Mountains or The Lonely Mountain?” ~BBC Lancashire, October 28, 2014. Moreover, three of his sons attended Stonyhurst. His eldest son John studied to become a priest after being evacuated from Rome during the Second World War, while his other son Michael was a professor there. The place ended up being a source of inspiration for his Middle-earth. Tolkien’s original manuscripts are kept at Jesuit Marquette University. 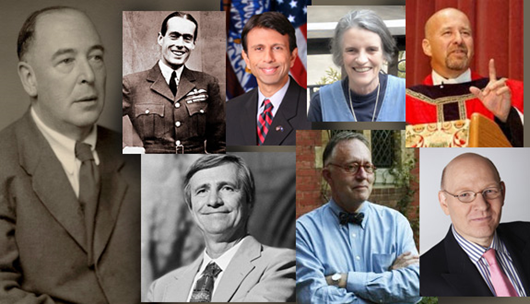 Another important personality who attended Stonyhurst was George Herbert Walker, the maternal grandfather and uncle of his namesake, George Herbert Walker Bush, Jr. (Skull and Bones ‘48) —the 41st President of the United States and the 11th Director of the Central Intelligence Agency. As President of the investment bank Brown Brothers, Harriman, Walker was a key figure in bankrolling and enabling the rise of the Third Reich. This was done to insure the Jesuit-managed Hegelian dialectic of Nazism verses Communism which was the source of unbelievable suffering in the Second World War and subsequent “Cold War”. Admired by Pope Francis, J.R.R. Tolkien was, and still is, an important asset to the Jesuits and the Vatican; which justifies the amount of exposure his works have received through to the present day. Tolkein was most assuredly not a great writer who happened to also be Roman Catholic. He was and is a Jesuit-controlled agent of using fantasy to instill warmth and openness to Roman Catholicism. Close friend to devout Roman Catholic J.R.R. Tolkien, Clive Staples Lewis (aka C.S. Lewis) was born in Belfast, N. Ireland in 1898. He’s commonly portrayed as coming from a bigoted Protestant family due to his maternal grandfather, Anglican priest Rev. Thomas Hamilton and Hamilton’s anti-Catholic views. Nevertheless, Hamilton served as a priest in Rome prior to returning to Ireland. On the other hand Lewis’ mother, Florence (Flora) Hamilton, was known for her tolerance towards Catholics, even hiring several to work in her home and to look after Lewis and his brother Warren. Both Clive and Warren were frequent guests at the local monastery in Blackfriars, Oxford of Fr. Gervase Mathew. In addition, a “miracle” witnessed by Flora while still living in Rome may have inspired one of the characters of Narnia. 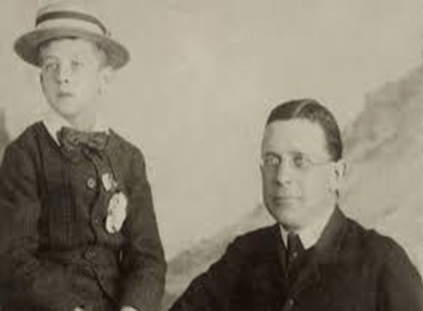 While Thomas Hamilton was living in Rome, incidentally, something occurred which entered into family legend and eventually formed a seed for C. S. Lewis’s most famous story. Hamilton’s daughter Flora – C. S. Lewis’s mother – was then a little girl. One afternoon she and some grown-ups escaped the scorching heat of the pavement by walking into a church. Under one of the altars there was the body of a saint lying in a glass case. While no grown-up was looking, Flora distinctly saw this figure open her eyelids. Just as when Lucy comes back from the other side of the wardrobe and discovers that everyone thinks Narnia is a product of her imagination, so the Hamiltons failed to believe in Flora’s “miracle”. The difference between Flora and Lucy was Flora did not herself believed that she had witnessed anything miraculous. “I thought it was done by cords pulled by a priest behind the alter [sic].” Nevertheless, the pattern of the story – a little girl who has seen a wonder in which the rest of her family refuse to believe – is structurally the same as that of the Lion, the Witch and the Wardrobe. ~ C.S. Lewis: A Biography by A.N. Wilson, p.2, 1990. 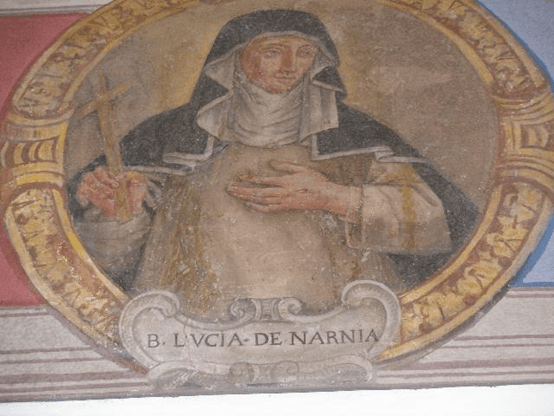 Another possible source of inspiration for Lewis in the character of Lucy in his Chronicles of Narnia may actually have been a Dominican tertiary, the Blessed Lucy of Narni. The life of the real Lucy is even more magical and wondrous even than the one CS Lewis imagined for “Queen Lucy the Valiant”. Born in the late fifteenth century, Blessed Lucia (“Lucy” in English) Brocadelli was from the ancient Umbrian town of Narni (“Narnia” in Latin). A pious child, she is said to have received visions from an early age. Following her father’s death in her early teens, she was married off by her uncle to Pietro, Count of Milan, though they lived as brother and sister. As Countess, she was famed for her life of prayer and care for the poor, baking bread for them herself (ably assisted, it is said, by a number of Saints from Heaven). The lure of religious life proved irresistible. And the couple separated, she to become a Dominican tertiary, and he ultimately to join the Franciscans. Lewis went on to hold academic positions at Oxford University and according to Jesuit Peter Milward, he was an occasional guest of Jesuit Thomas Corbishley, the then Master of Campion Hall. The Society of Jesus runs Campion Hall as one of the Permanent Private Halls of Oxford University. Undoubtedly, Lewis acquitted himself to many Jesuits during his tenure there, as evidenced by his frequent letters to or about them. In a letter to Milward from June 27, 1963; Lewis addresses his “lacking in the spiritual tact which is so conspicuous among my Jesuit friends in Oxford”. Moreover, in a letter to Sister Madeleva CSC from April 12, 1954; Lewis asks to be remembered by Jesuit Martin Cyril D’Arcy who, according to him, had a “fine mind, both rich and sharp”. D’Arcy was Campion Hall’s Master prior to Corbishley. Interestingly, there were rumors at the time that perhaps Lewis was secretly a Jesuit himself. These speculations were also corroborated by Christopher Derrick, one of Lewis’s friends. Regardless of that, his works such as Mere Christianity and Screwtape Letters account for the conversion of innumerous people to Catholicism. Lewis has been credited (or blamed) in recent years with setting numerous people on the road to Rome. Such Catholic converts have included many of the serious scholars and disciples of Lewis, some of whom knew him before he died… ~ R.A. Benthall, Ave Maria College, Michigan quoted in C.S. Lewis and the Catholic Church by Joseph Pearce, Ignatius Press, 2003, p.xv. Perhaps, the appeal to coming to the Roman Catholic Church was mainly due to the ecumenical aspects of his work, reflected especially in Mere Christianity. The book was Lewis’s attempt to gloss over any theological controversies between Catholics and Protestants in order to establish a generic Christianity suitable to anyone that vaguely related to “God” in any way. Lewis contributed, and proudly so, to bridge Protestants and Roman Catholics. If I have not directly helped the cause of reunion, I have perhaps made it clear why we ought to be reunited. ~Mere Christianity, Issue 7 by C.S. Lewis, p.XI, 2001. The time is always ripe for reunion. Divisions between Christians are a sin and a scandal and Christians ought at all times to be making contributions toward reunion…the result is that letters of agreement reach me from what are ordinarily regarded as the most different kinds of Christians; for instance, I get letters from Jesuits, monks, nuns, also from Quakers and Welsh Dissenters, and so on. ~ C.S. Lewis, The Grand Miracle, and Other Selected Essays on Theology and Ethics from God in the Dock, (Random House, 1970), p. 35. In order to accomplish such an ecumenical task, Lewis compromised on many Christian doctrines. One important example was the parallel between the Mass (transubstantiation) and the Lord’s Supper. He also believed in Purgatory, although not quite the one professed by the Catholic Church; and praying for the dead, albeit not saints. Mark Brumley, president of RC Ignatius Press summarizes Lewis’s legacy quite well. Moreover, Lewis’s distinction between the Christian faith as such and any particular denominational formulation of it, whether Protestant or Catholic or Orthodox, has helped foster a more sympathetic assessment of Catholicism among some Protestants and, ironically, has aided in bringing more than a few searching sheep into the Catholic fold. Protestants who tend to equate Christianity with their Protestant version of it will find in Lewis no ally. 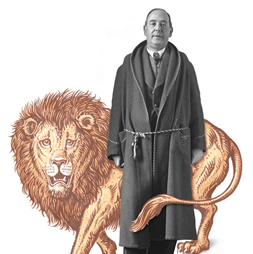 (emphasis mine) ~ The Relevance and Challenge of C. S. Lewis by Mark Brumley on November 29, 2005. Despite his engagement in spiritual matters, his best-known work is the children’s series The Chronicles of Narnia, which tells the story of four ordinary children discovering and exploring the imaginary land of Narnia. Published in the 1950’s, Lewis was previously assured that his ideas on writing children’s novels were “Jesuitical”, which perhaps may explain the broad coverage the series has enjoyed to this date. In a letter of 1945 to Dorothy L. Sayers, he declares that he is “all for little books on other subjects with their Christianity latent. I propounded this in the S.C.R [Senior Common Room at Campion Hall [the Jesuit House of Studies in Oxford] and was told that it was “Jesuitical” ~ The Lion’s World: A Journey into the Heart of Narnia by Rowan Williams, p.15, 2012. Archbishop of Canterbury Rowan Williams would know. Romans in vicar vestments run all the way to the top at Westminster. 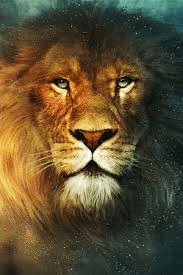 The most important character in this realm is Aslan, a talking lion that is described as the King of Beasts and son of the Emperor-Over-the-Sea. Depicted as a protector of the children, Aslan was conceived as an alternative version of Christ. As a result, the Narnia’s tales have been deliberately propagated among Christian circles. James Dobson’s Focus on the Family promotes the series on radio. 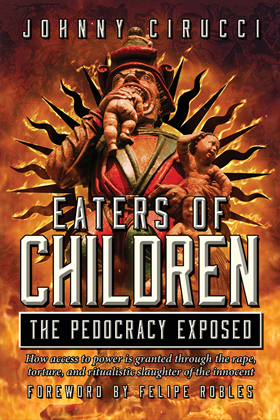 Even the then-governor of Florida, Jeb Bush (a converted Roman Catholic and Knight of Columbus), wants every child in the state to read The Lion, the Witch, and the Wardrobe. Despite the fact that the stories have been implicated with witchcraft and medieval astrology, Lewis himself was proud to utilize pagan elements in order to introduce Christianity. Catholic beliefs are a syncretistic mix of Christianity and pagan elements, namely Babylonian demonism and Chaldean sun worship. In fact, the association of the lion with the words “beast” and “emperor-over-the sea” may have a meaning complete opposite to Christ, which is found in the last book of the Bible. Prior to erasing such understanding from the minds of all Christians save Seventh Day Adventists, this passage was clearly understood to be speaking of Rome. The seven hills of Rome are legendary to any aware enough of either history or geography. Although it’s assumed that C.S. Lewis never converted to Catholicism, a Jesuit priest named Guy Brinkworth wrote a letter suggesting that Lewis came very close to a conversion. In the letters I received from him, he time and time again asked specifically for prayers that God might give him “the light and grace to make the final gesture”. He even went so far as to ask in a postscript to one of his letters for “prayers that the prejudices instilled in me by an Ulster nurse might be overcome”. ~ C.S. Lewis and the Catholic Church by Joseph Pearce, Ignatius Press, 2003. If in fact he was a secret Catholic or even a disguised Jesuit priest as all the evidence may suggest, it’s more likely that the decision to not disclose his true identity came from his superiors. Perhaps, even the story about Lewis being a secret MI6 agent might have been disclosed to cover up his real masters. Lewis died on November 22, 1963. 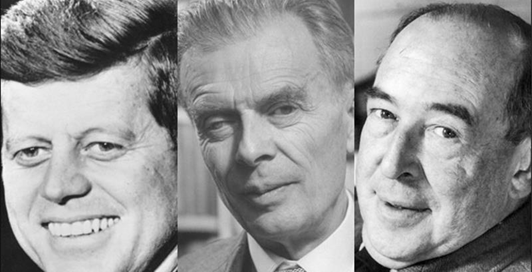 Curiously, two other preeminent people died within minutes of each other; namely the 35th President of the United States, John F. Kennedy and the English writer, Audous Huxley. It certainly brings to memory another case involving the death of founding fathers John Adams and Thomas Jefferson on the same day: the 4th of July. And as one might think, the odds are against mere coincidence. Even more so when President James Monroe also died on the 4th of July. Having a prominent person die on a significant date is the calling card of assassins so good at their work they leave no other trace. Such is the reputation of the Jesuits. 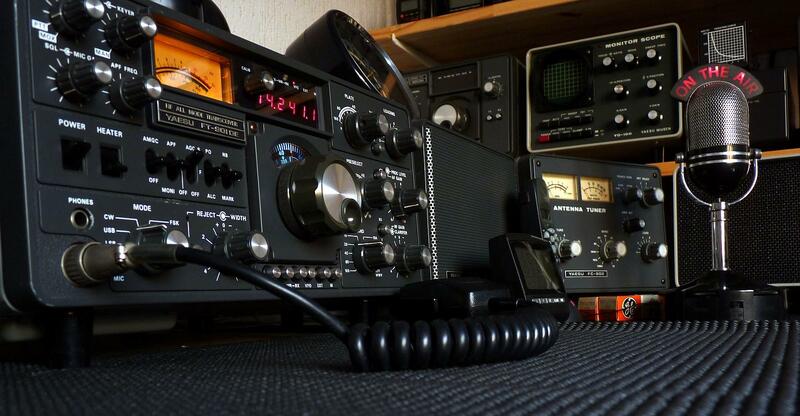 It’s pointless to discuss if C.S. Lewis indeed became a Roman Catholic. His works speak for themselves. The ecumenical seeds he planted in the minds of Protestants and Catholics alike are germinating in the present time. Bringing multitudes to the “Holy Mother Church” and being admired by Popes were some of Lewis’s achievements. At a papal audience, Walter Hooper found himself discussing C.S. Lewis with Pope John Paul II. At the end of the meeting, the Pope gave his own summary of Lewis’s achievement. Lewis, he said, knew what his “apostolate”, his divine calling, was. 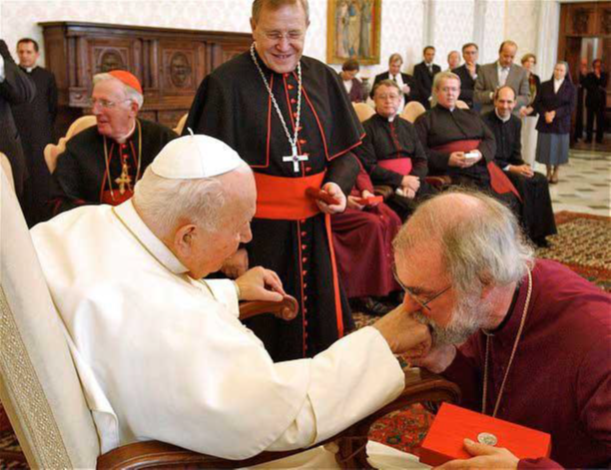 There was a long pause when Hooper thought the Pope had finished. Then the Pope added “and he did it”. ~ C.S. Lewis in a Time of War: The World War II Broadcasts That Riveted a Nation and Became the Classic Mere Christianity by Justin Phillips, p.296, 2002. Christ spoke in Mathew 7:16: You will know them by their fruits. Do men gather grapes from thornbushes or figs from thistles? Lewis’s and Tolkien’s fruits are rotten. The Jesuits were founded originally as The Society of Jesus on August 15, 1534, the day of “Assumption”, during a secret ceremony held in the crypt of the Chapel of St. Denis by Ignatius of Loyola (full name Iñigo López de Loyola), Francisco Xavier, Alfonso Salmeron, Diego Lainez, Nicolás Bobadilla from Spain, Peter Faber from Savoy, France, and Simão Rodrigues from Portugal. Its constitution was approved by Francis Borgia, a member of the infamous Borgia family , also known as Borja / Borgia, Duke of Grandia, nephew of Pope Alexander VI and patron of Ignatius of Loyola. Francis Borgia was the main financier and architect of the gradual transformation of the Jesuits in the first order of monks as a military organization within the Catholic Church. He was also a promoter of adoption of the Papal Bull Regimini militantis ( 27 September 1540 ), by the very close companion of the Borgia family, Alessandro Farnese, Pope Paul III, who first granted the official status of Jesuit order. Ignatius of Loyola was noticed for the first time by the young Duke of Grandia already in 1529, when he was re-arrested by the Inquisition in relation to extreme practices of religious devotion. Borgia saw the potential in the devotion of a military charter founded on the extremism preached by Ignatius of Loyola, and his will to establish a military order of monks. It was the young Borgia, who saved the life of Ignatius from the Inquisition. On the death of Ignatius in 1557, Francis Borgia should have secured the appointment of a second Superior General. However, his ambitions were thwarted in by his arch – enemy Giovanni Pietro Carafa, Pope Paul IV (1555-1559). Carafa had always been one of the biggest opponents of Borgia Pope Alexander VI and promptly named Diego Laynez (Jaime Lainez) as Superior General. Pope Paul IV died in August of 1559 and he was succeeded by Giovanni Angelo de `Medici (Pope Pius IV). 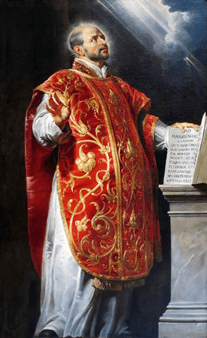 In both cases, the Superior General of the Jesuits Diego Laynez aligned himself closely to the conduct of the pontiff, proving to be virtually untouchable. The daughter of Ferdinand II was Catherine of Aragon, the wife of Henry VIII. Her inability to give Henry a male heir instead caused him to give birth to the “Church of England” when his request for the marriage to be annulled was denied by Pope Clement VII. She was pushed aside in favor of Anne Boleyn but not before giving birth to daughter Mary. The greatest thing Henry ever created was Edward VI. Along with Oliver Cromwell, they were perhaps the only true Protestants ever to hold power anywhere in the world. Consequently, Edward was murdered before reaching maturity. He chose his cousin Lady Jane Grey over his half-sister Mary but Mary was able to steal power in a coup. She had Lady Jane murdered and then went on a bloody rampage, burning almost 300 English Protestants at the stake earning her the moniker “Bloody Mary”. Comprehensive, honest, research. A rare treat. Thank you Felipe. Thank you brother. I’m very happy and humbled to hear this coming from a great researcher.